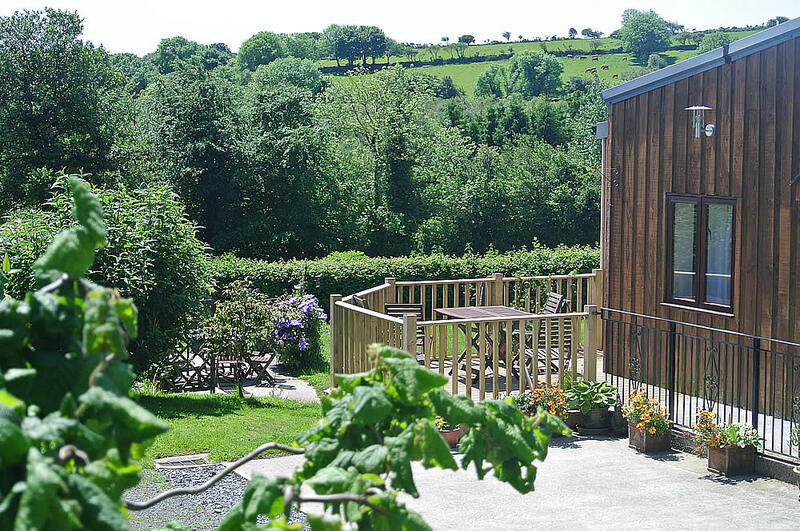 Robin Cottage is just moments away from open moorland with stunning scenery, wild open spaces of Dartmoor National Park not forgetting river valleys, granite tors and much more. Not a traditional Dartmoor Cottage, Robin Cottage was converted from a Modern Agricultural building in the late 1990’s The building was used as a workshop for Dartmoor Carriages. Designed with accessibility in mind, the cottage is spacious, light and airy, comfortably furnished with well equipped kitchens, the large double glazed windows overlook the garden with far reaching views of the open countryside, Moors and Farmland. Robin Cottage has a own private decked area which is accessed through French windows, Ideal for an Alfresco breakfast. There is also a garden with Patio seating area.